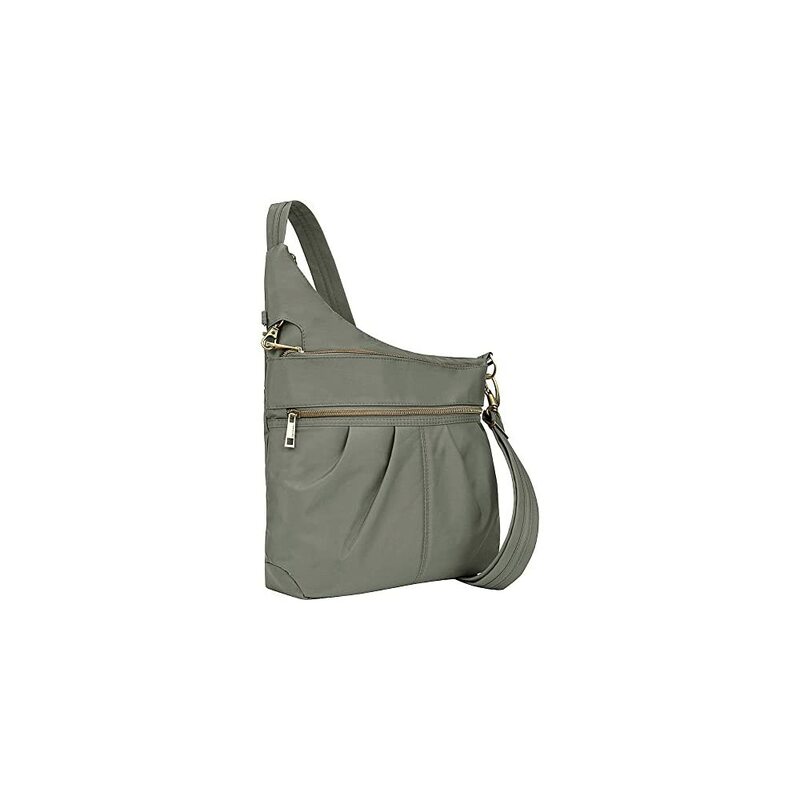 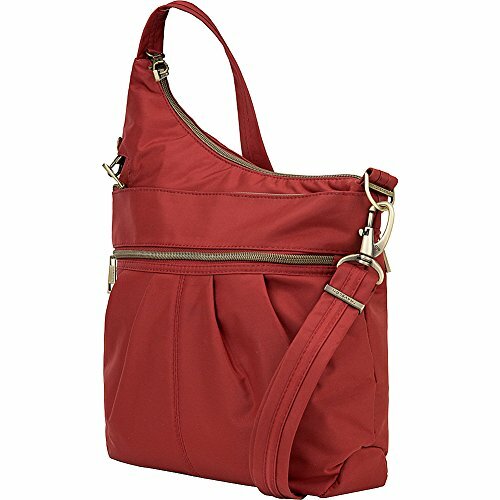 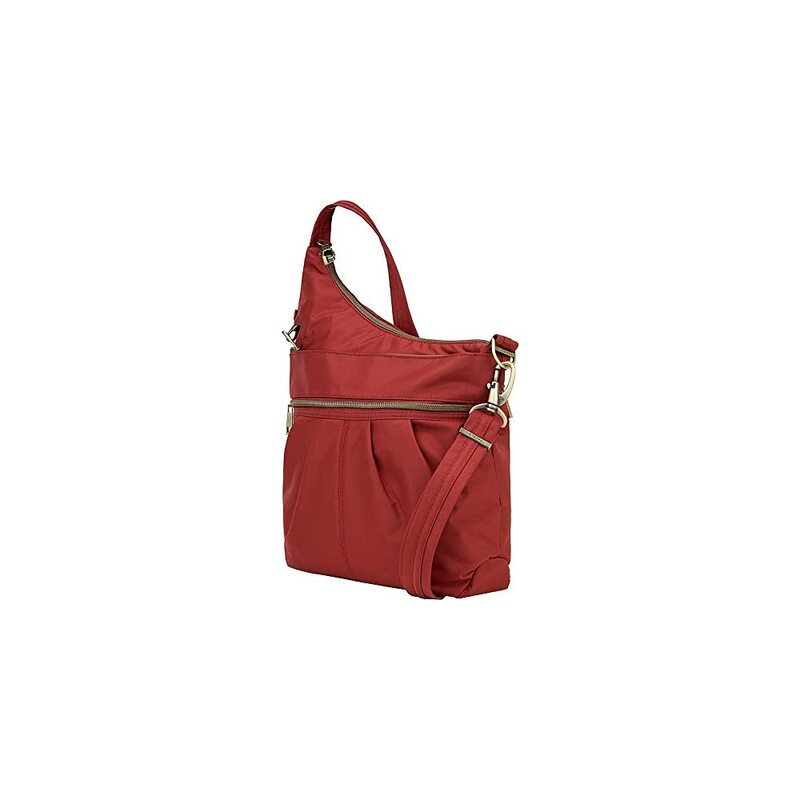 Angled pleats add texture and interest to this casual crossbody bag from Travelon. 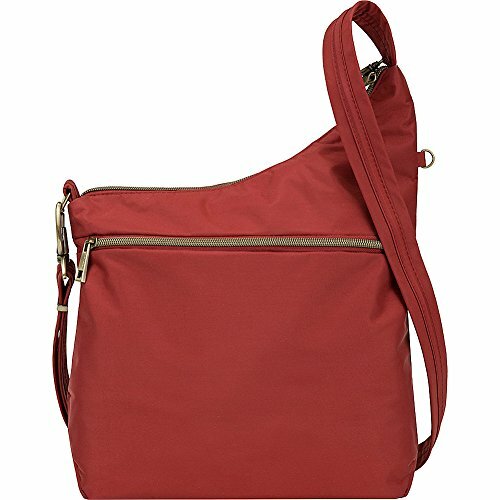 The Travelon Anti-Theft Signature 3 Compartment Crossbody bag is made from nylon fabric and features a sporty design with slash-proof construction, locking compartments, and a cut-proof shoulder strap that helps to protect your valuables from thieves. 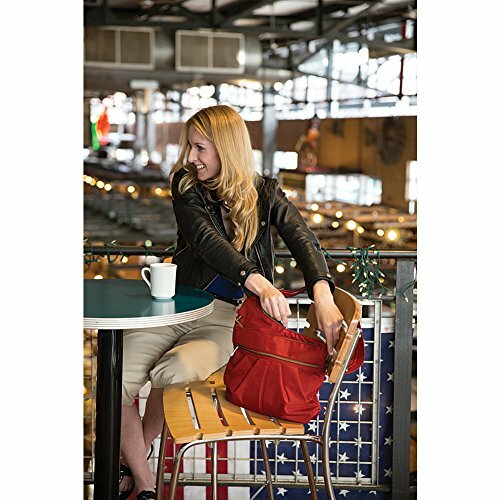 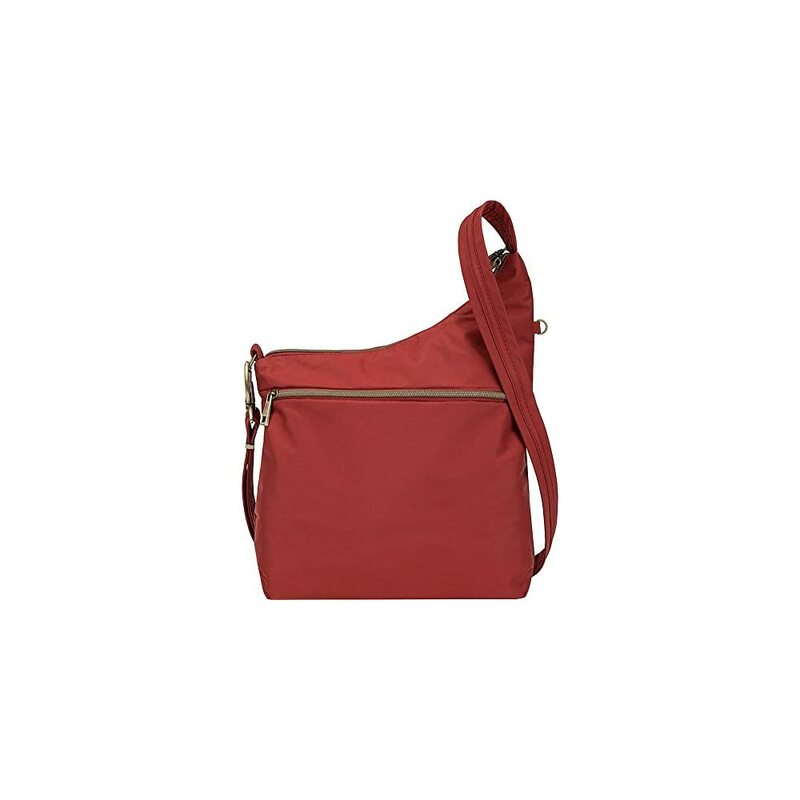 This crossbody bag is detailed with RFID blocking card and passport pockets, a tethered key clip with an LED light for increased visibility, and organizer pockets to hold your cell phone and other small accessories. 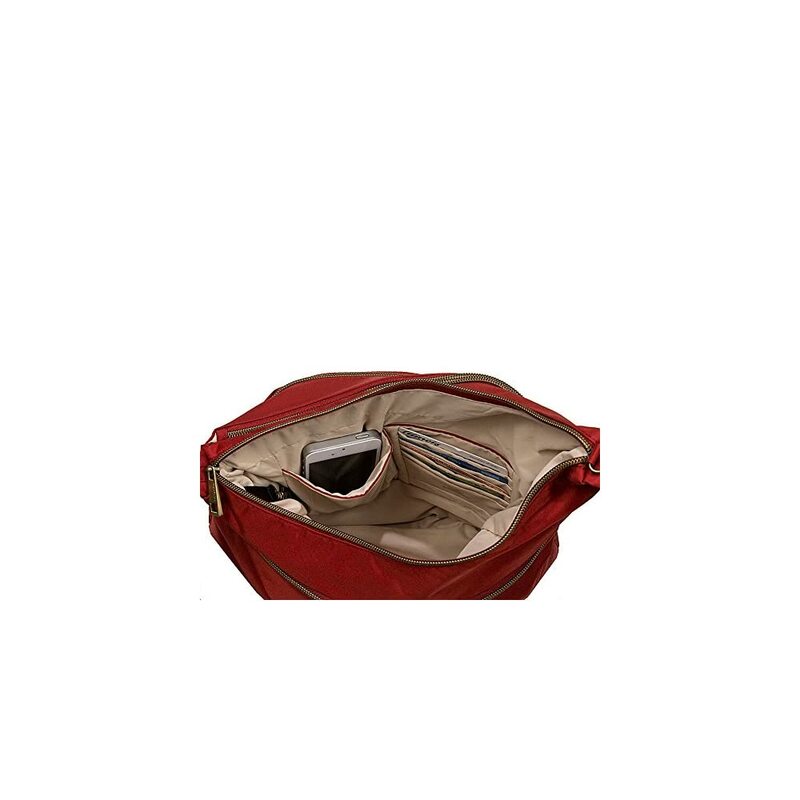 Three separate compartments make it easy to store and organize all of your most important items. 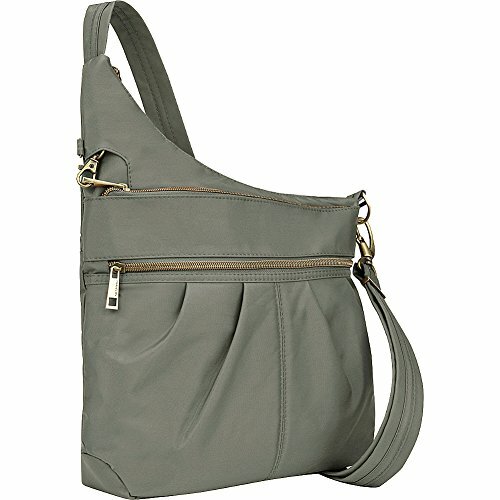 Safe and secure, the design of this is perfect for keeping both hands free and keeping this to the front of your body. 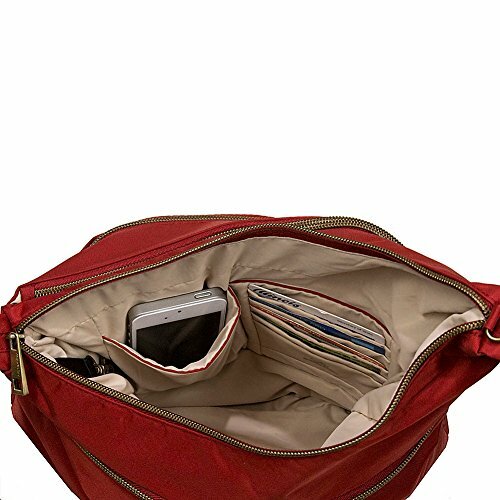 I always feel safer when I know my belongings are not going to get lost or stolen.